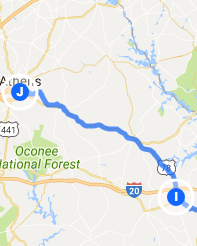 Trip Log – Day 287 – Augusta GA to Athens GA | How Will We Live Tomorrow? Some long riding days are so satisfying. Get up early and on the road before the heat sets in, stay focused on progress but take breaks to meet interesting folks and stay fresh. 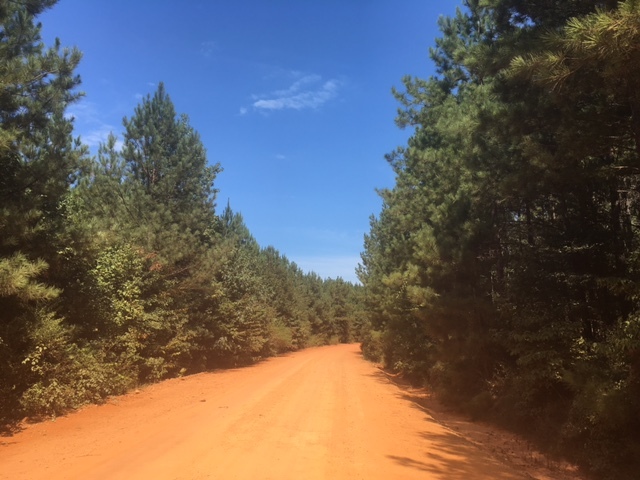 I logged a lot of miles, climbed over 2,000 feet into the Georgia foothills, and had several local adventures. I savored my first Waffle House experience in Thomson. The entire staff called out, “welcome!’ when I walked in, though my waitress was surprised I asked for a menu. 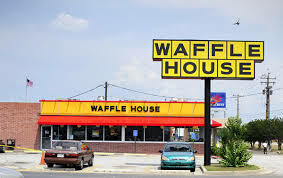 Waffle House is all about repeat customers and pretty much everyone orders the All-Star breakfast: two eggs any style, two sausage patties, two slices of toast, grits, plus a large waffle. Next time, I won’t bother with a menu. For seven bucks, the All-Star breakfast rocks. I needed all those carbs along the Whitesboro Road, a scenic country road to an early Quaker settlement. Just past the few remaining structures the pavement turned into a dirt logging road. Fortunately, Georgia red clay makes a pretty sound road surface. Washington is a town with many beautiful historic houses, but I didn’t linger at any of them as thunderclouds threatened in early afternoon. For the rest of the day I dodged storms that raged all around me. 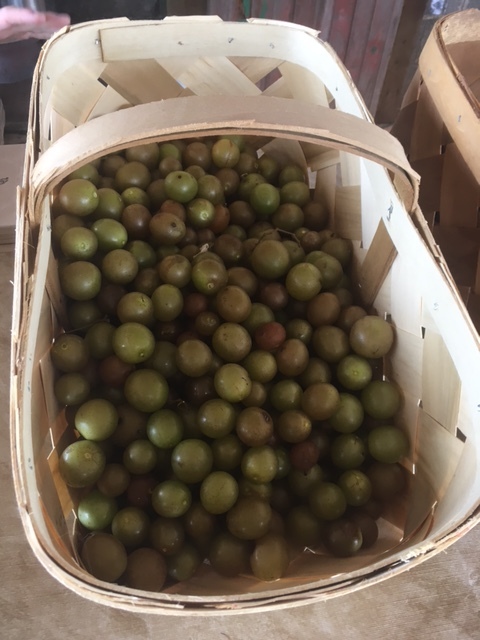 But I did stop to visit with local farmer Libby who grows and sells Muscadines and Scuppernongs, two delicious local grapes, from a farm stand with a welcome breeze. These plump fruits are certainly healthier than Waffle House fare. I was already in Athens by the time a thunderstorm finally caught me. 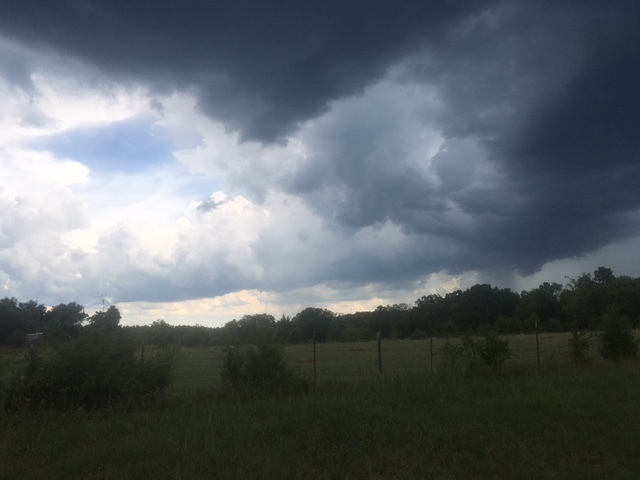 I ducked into in a car wash stall until the skies cleared and I pedaled to my host’s on time. Jon Pierson is very gregarious guy and regular couchsurfing host who recently moved to Athens. He organized a couchsurfing meet-up at the HiLo bar in Normaltown. Eight other people showed up, commandeered a corner table, drank great local drafts, and talked about all things couchsurfing, Athens, University of Georgia, and tomorrow. 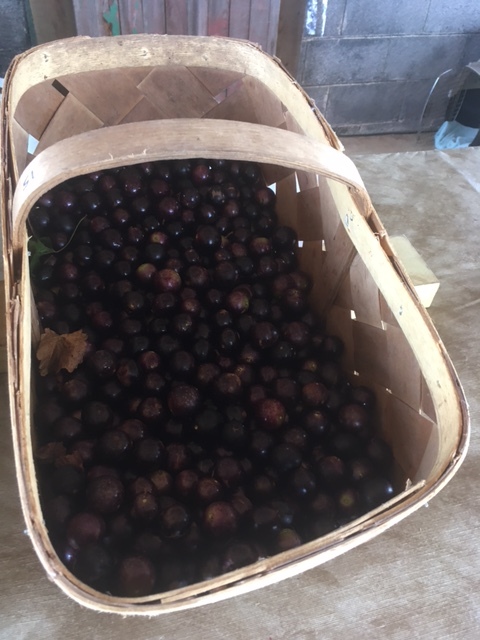 This entry was posted in Bicycle Trip Log and tagged Athens GA, couchsurfing, HiLo Lounge, muscadine grapes, scuppernong grapes, Waffle House, Whitesboro GA. Bookmark the permalink.